June 1, 2016 - Like us now! 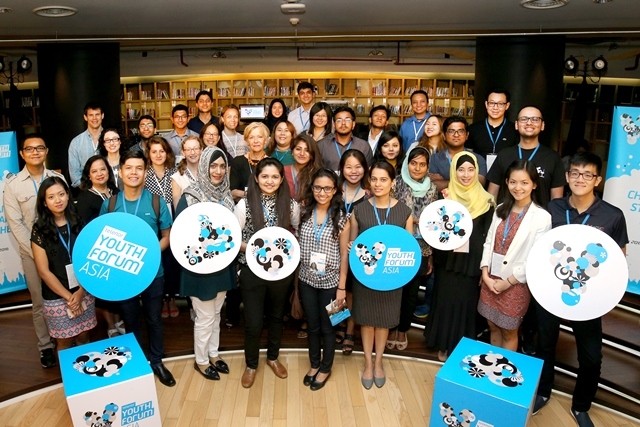 Telenor Group recently organized Telenor Youth Forum Asia to discuss and develop solutions to the challenges faced by Asian Youth. The two-day forum took place in Bangkok, Thailand. Fatima Rizwan (disclosure: She is the founder of TechJuice) along with her team developed a solution to tackle youth unemployment in Asia, which was chosen as the top presentation at the Forum. The team proposed to develop an online portal that addresses current joblessness and also preventing future unemployment by helping young people explore occupations and take online learning courses according to industry needs. This winning team will be joining as featured speakers in this year’s edition of Telenor Youth Forum held in Oslo, Norway in partnership with Nobel Peace Center. 29 delegates from all across Asia participated in the Forum and was mentored by word-class speakers and organizations such as the United Nations Development Program (UNDP), UNICEF Global Innovation Center and the Nobel Peace Center. These organizations provided expert resources to the teams in terms of strategy building, design planning and solution delivery. The global Telenor Youth Forum is in its fourth year and will be held in Oslo, Norway during the Nobel Peace Prize week in December. Apply now to represent Pakistan at the coveted international forum.